Beira: rebuild or relocate after mega-cyclone Idai? 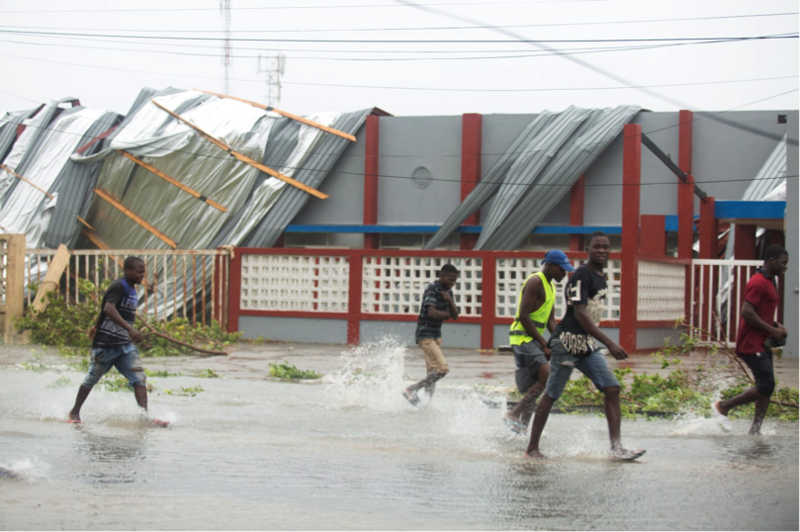 Residents of the Mozambican city of Beira may not have had enough agency to respond adequately to storm warnings issued by the state meteorological services ahead of the arrival of Cyclone Idai this month, because they may not have had anything to compare a storm of this magnitude to. The last time a cyclone this damaging struck the region was in 1962, so there may not be enough local ‘memory’ in communities or in official records to understand the extent of the likely impacts. This lack of awareness may also impact on how communities respond after the event, as many may try to rebuild their homes in areas that will only become more vulnerable to the double-blow of rising sea levels and more intense tropical storms. ‘Since the 1962 event, there is a whole new generation of people living in Beira,’ explains professor Genito Maure, an environmental scientist based at the Faculty of Science at Eduardo Mondlane University in Maputo, the capital city which is about 1000km south of Beira. ‘The meteorology office issued a forecast ahead of Cyclone Idai, saying that a huge cyclone was on the way, but people didn’t have anything to compare this to. People know how to deal with the swamping and smaller flooding events that hit the city from time to time, but not something of this scale,’ he explains. A group of young men walk past a damaged building in Beira city on the morning after the storm. Cyclone Idai, Mozambique, aftermath, 15-16 March 2019 (Denis Onyodi: IFRC/DRK/Climate Centre). Disaster assessment teams estimate that 90% of the city’s infrastructure has been destroyed. The death toll of people killed in the storm is still being tallied. Most of these deaths were due to flying debris and collapsing buildings, as winds of 170km per hour swept through the city. Further deaths were caused by drowning as rivers flooded. Maure says the next health risk is likely to come from outbreaks of diseases like cholera and malaria. ‘There will be a lot of swamping now, which will lead to malaria. The sanitation and drainage systems are also completely destroyed, and the water distribution infrastructure has collapsed, so people will be at risk of cholera,’ he says. The reason this city of approximately 500 000 residents was hit so hard by this storm is multifaceted. It is an old low-lying city, built during the colonial-era when planning didn’t account for extreme weather events like this. ‘The geographical location of Beira means the city is subject to a double whammy,’ explains Katharine Vincent, Director of Kulima Integrated Development Solutions. Maure and Vincent are both part of the Future Climate For Africa initiative, a collaboration of climate scientists and development organisations based in Africa and the United Kingdom, which is developing information to support medium and long-term climate relevant decisions. ‘The city, its economic infrastructure, and its port, are vulnerable by virtue of being on this flat land. It is also bounded by both the Indian Ocean and Pungwe river delta, with only a constructed sea wall to protect it from storm surges,’ says Vincent. A report by the National Disaster Management Institute published 10 years ago found that this wall was ‘already woefully inadequate’, says Vincent. Climate modelling used in this risk assessment report projects that while tropical storms in the region may not increase in number, they will become stronger and more intense. This will push them further inland than the historic norm, and also deliver much more rainfall during each event, which will increase the damage caused by wind and flooding. Operations are currently underway to alleviate the immediate humanitarian disaster, focusing mostly on bringing in food aid, medical support, and water. But once these urgent operations are done, should the city rebuild its shattered infrastructure, or try and relocate to a safer area that will be less vulnerable to the impact of mega-storms like this? ‘Years ago, the Local Government Reform Project of the Ministry of State Administration already recommended that the Beira municipality begin to expand the city in the direction of the nearby village of Dondo, which is on higher ground. But development has been slow,’ says Maure. The extent of the destruction caused by this cyclone could give the municipality the opportunity to relocate Beira’s population to Dondo area, but it will take ‘a huge amount of resources’. ‘The country has a lot of land, so people can move. But the challenge will be for the municipality to discourage people from rebuilding in the same area where their homes were destroyed,’ says Maure. The work covered in this story is part of the Future Climate For Africa research group. It aims to advance scientific knowledge about regional climate responses to human activities and work with decision-makers to integrate this knowledge into climate-sensitive decisions at city-regional scale.